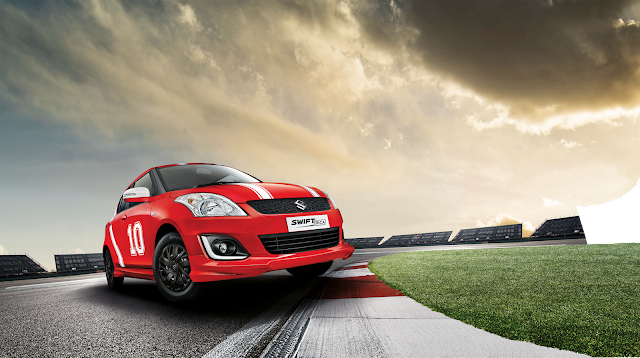 Maruti Suzuki Swift has been in the market for several decades now and has been one of the top selling cars for Maruti. Even after years of first launch when Maruti was planning a facelift to current generation Swift sometimes in 2010, there were 20000 customers who had booked previous swift and waiting for deliveries. Swift has been a driver friendly, responsive and fun to drive car, backed by Maruti’s legendary service network, resale value and value for money proposition which helped the car stay popular and sell in good numbers despite fierce competition in this segment. 3. Ambient lights- even more premium cars do not offer this feature. 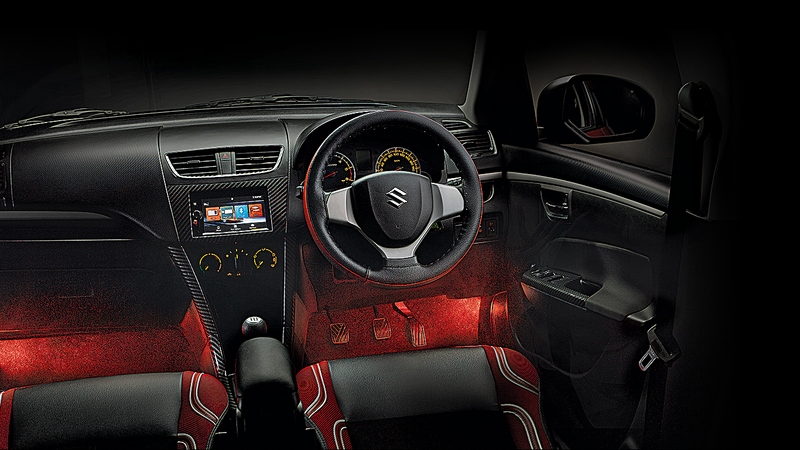 Ambient lighting lifts your mood and announces your arrival in style. 7. 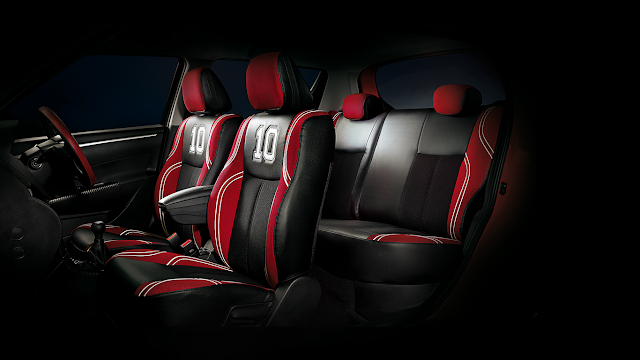 Interior styling- just like the exterior, interior is also made unique and comfortable with sports inspired enhancements. Includes steering wheel cover, trendy floor mats, seat covers with 10 embossed on them, gear knob cover and so on. 8. Door Sill guard – a metallic add on to the floor where door is positioned. As you open the door, you will get treated to the Deca branding. So these are the 10 interesting and useful features on the new Swift Deca, inspired by PlayLike10 theme. Watch a video below, more videos can be seen on the youtube channel. Note that Deca has no mechanical changes over swift. It is only cosmetic changes, more as a stock clearance attempt. Deca is launched in VXi and VDi variants, in bright red and pearl white colours, for a price tag of 5.94 lakhs (VXi) and 6.87 lakhs (VDi) respectively, ex-showroom, Delhi. Do check the Swift Deca microsite for more details. I wish all the success for Deca.